The Gold Hoard!! 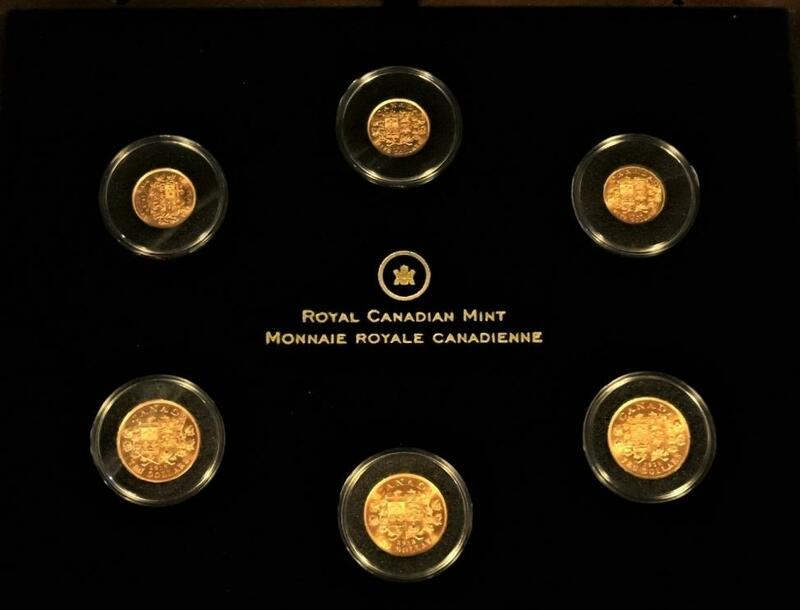 Six of the most spoken about Canadian Gold Coins. 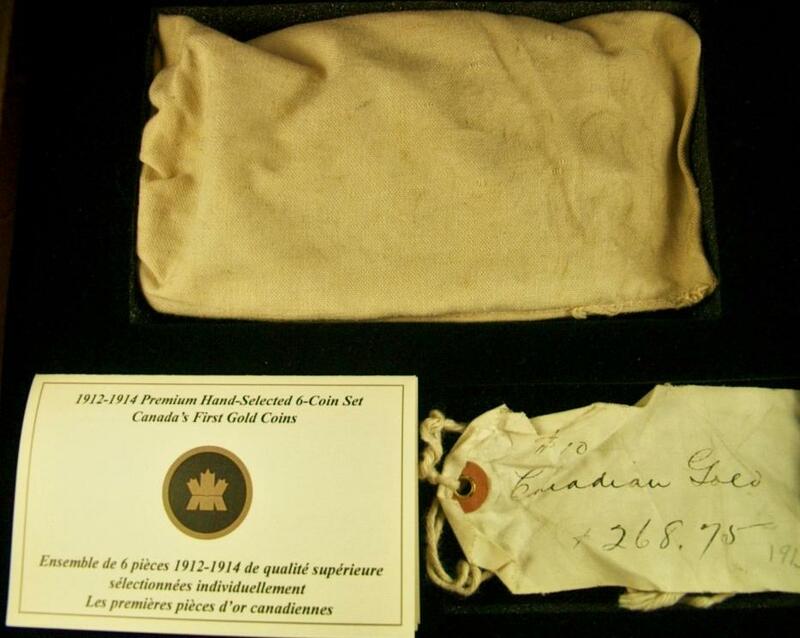 Read about it in publications by the Royal Canadian Mint in Ottawa Canada. 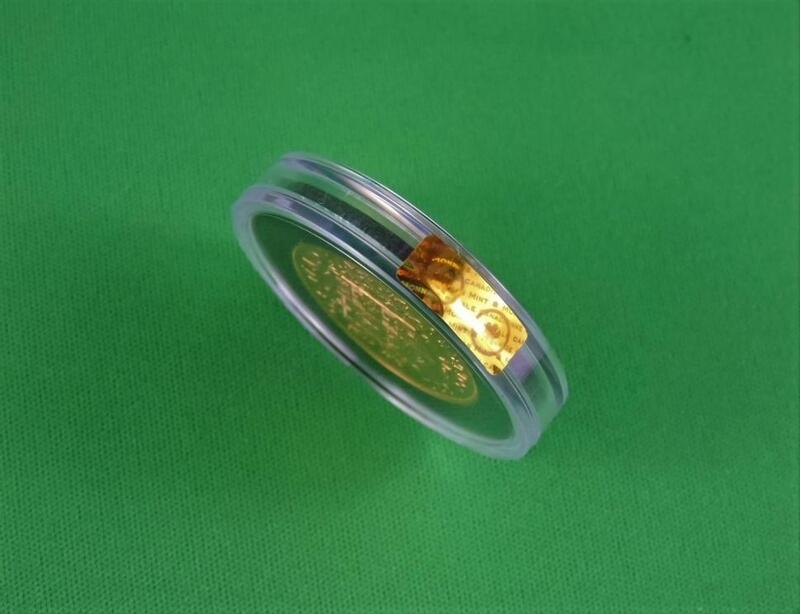 Seasoned Coin and Gold Collectors clearly know what this package is, in terms of pride, rarity, quality and eye-catching appeal. Bidders interested in bidding within this Auction must be pre-registered and approved by the SoldOutright Administration. 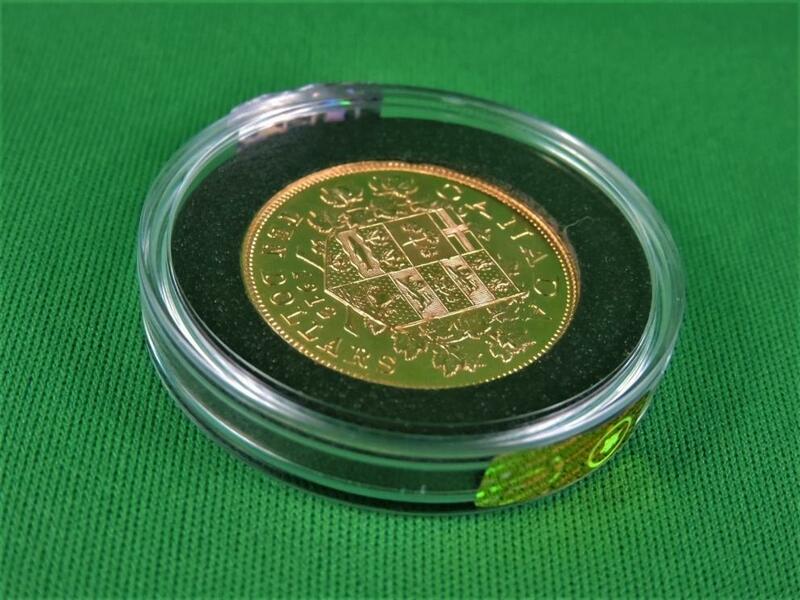 This is an Exceptional Coin Auction Opportunity of Six Rare Gold Hoard Coins, with original coin bag and special Canadian Maple display container. Special terms and conditions apply. All potential bidders should make contact with their interest in bidding through email auctions@soldoutright.com to begin the bidder approval process and be advised of full details. Key words to mention "Gold Hoard"
Only approved bidders will be allowed viewing and bidding privileges. Should there be limited or insufficient qualified bidder registration for Competitive Auction this auction offering will be rescinded and immediately presented and negotiated as a private sale to those interested. 15% Buyer Premium will be added to the winning bid, plus all other associated insuring, shipping and handling costs. Bidders in placing their bid are agreeing to all terms and conditions of Auctions SoldOutright that includes the addition of a buyers premium added to the winning bid, a credit card or payment charge, handling, packaging, shipping, insurance, legal costs and applicable taxes. The descriptions offered are provided in general terms to give a basic explanation of each item. All items are sold in an as is where is condition and nothing else is implied or promised. TERMS & CONDITIONS Real Estate & Personal Property Auctions 1.All Auctions will start exactly on the advertised time 2.Changes to Auction Terms and Conditions take place occasionally and should be reviewed by Bidders on a regular basis. 3.On-Line Bidding with pre-registered qualified bidders will be allowed 4.To become a registered bidder for any Auction a person must sign in and qualify no later than 90 minutes prior to the posted start time of the Auction. 5.To qualify as a Real Estate bidder and receive a due diligence pack, a certified deposit cheque of a pre-determined deposit amount must be presented to the Auctioneer or their proxy at the time of registration to receive a bidding number. 6.A person will not be able to bid or attend a Real Estate Auction without proper registration, appropriate deposit and acquiring a bidding number 90 minutes prior to the posted Auction time. 7.Auction details, property details and any corrections( if applicable), will be announced at the auction 8.All bids are subject to acceptance of the Auctioneer. 9.Bids are not deemed valid until acknowledged and accepted at the sole discretion of the Auctioneer. 10.All bids are either recognized or rejected only at the sole discretion of the Auctioneer. 11.Being deemed the successful bidder by the Auctioneer, you agree to pay the amount of your bid plus all applicable taxes, buyers premium, other special premiums and other additional costs in accordance with all written or oral terms and conditions of the Auction. 12.Neither the company providing the software nor the auction company shall be held responsible for a missed bid, human error of any kind or the failure of the software to function properly for any reason. 13.All bids shall be regarded pending until appropriately accepted by the auctioneer. 14.It is important that all registered bidders must thoroughly inspect any property and read the offering memorandum to purchase at auction before the bidding starts and must not bid unless he or she has done so or comfortable with accepting the risk of the unknown. 15.It is the Bidders responsibility to fully inspect the property and be satisfied of condition and state of the item prior to bidding. 16.The Auctioneer, Auctioneer Company, Associates or Representatives thereof do not imply or promise anything as to condition or state of any item or property. 17.All appropriate and usual buyers premiums, credit card premiums, other premiums, taxes, packaging, shipping and handling costs, will be calculated and paid, by the winning bidder. 18.Legal Costs, Transfer Costs are the responsibility of the Winner of Real Estate or any Auction Personal Property Auctions 1.All SoldOutright Auctions are subject to a buyers premium of no less than 10% to be paid in addition to the winning bid amount. Additional administration charges of 3-5% for credit cards or other payment methods will be added accordingly 2.The Auctioneer has the sole discretion to advance or decline the bidding and may reject any and all bids which, in the Auctioneer’s sole judgment, do not advance and/or are injurious to the auction, including but not limited to nominal, suspicious and/or suspect advances. 3.The Auctioneer shall have sole responsibility and authority in deciding the successful Bidder in any event of a bidding dispute. Auctioneers determination of the successful bidder will be final! 4.By placing a bid, you agree to all of the terms and conditions which may be set forth by each individual auction company and expressly acknowledge and affirm that you have read and are familiar with the terms and conditions of each individual auction company involved as well as these terms and conditions. 5.All sales are final upon the determination of the successful bidder by the Auctioneer. 6.By placing a bid, you acknowledge that your bid is a legally binding offer to purchase the item or property being Auctioned and you have agreed to all of the terms and conditions herein or stipulated specifically. 7.There shall be no returns or exchanges. All property is sold “AS-IS”. It is the bidders obligation and responsibility to determine the nature, condition and state of title of each item purchased. 8.The successful purchaser agrees to pay any and all reasonable attorneys fees and costs incurred by the Auction Company, The Seller and/or their servants, agents or employees in the commencement or defense of any actions hereunder as well as in the collection of any obligations hereunder. 9.Time shall be of the essence 10.Venue and jurisdiction of any and all disputes which may arise by virtue of this or any auction shall be in the Province Of Manitoba. 11.Bidder acknowledges that no relationship of any nature or type, agent, employee, independent contractor or otherwise, is created between Bidder and Auctioneer, Affiliated Auction Companies and or, Affiliated Software Companies and/or any servant, agent or employee of the same by Bidders participation in the Auction. 12.There are no bidder disclaimers, warranties , understandings, agreements, representations or warranties, expressed or implied not specified herein, respecting any contract, terms or conditions or the item or property sold hereunder, including but not limited to the merchantability or fitness for any particular use or purpose. 13. Bidder acknowledges and agrees that the Auctioneer is acting solely as the agent for the seller in this or any Auction. 14. Deposits, Full Payment, Legal Confirmation of Payment Ability or any other payment condition acceptable to the Auctioneer will be required from every potential bidder, winning bidder or bidder, whatever the case may be, unless suitable arrangements have been agreed to and confirmed solely by the Auctioneer in advance of the Auction. 15. All packaging, shipping, insurance, legal and handling costs are the responsibility of the winning bidder. 16. 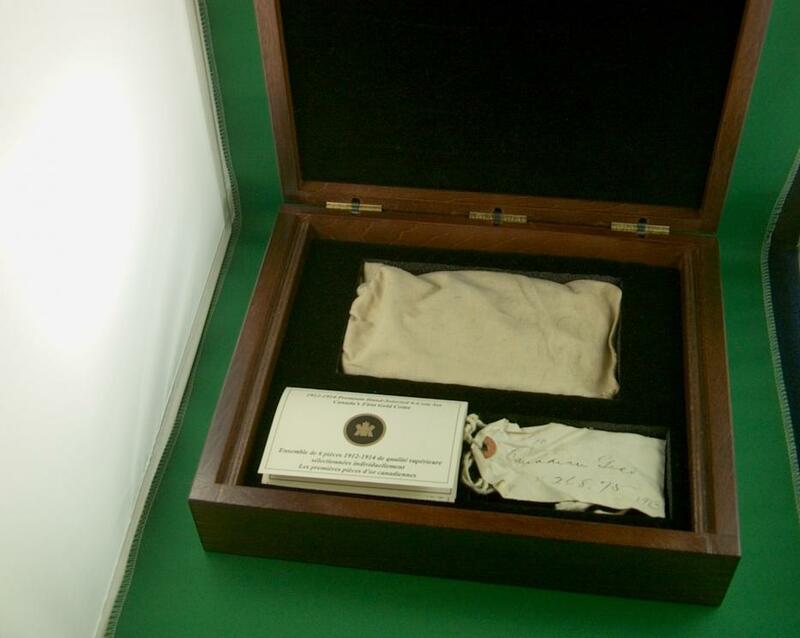 Descriptions of Auction Items in every case are deemed as accurate as possible and sold in as is condition. 17. Items may be shipped from various distribution locations in Canada, United States of America or United Kingdom. 18. Other than the Terms and Conditions stated above, "Additional Terms and Conditions" may apply from time to time and Auction to Auction determined solely at the discretion of the Auctioneer and/or their advisors. 19. Terms and Conditions found and described in this application override any other SoldOutright publication, website or document. Please read fully prior to any bidding activity. By placing a bid the bidder is fully informed and clearly understands the terms and conditions as stated in this text.